If reading a suspense thriller by David Baldacci is like driving in a new Porsche, reading a private investigator thriller by S. J. Rozan is like riding through the streets of New York City in a turbo-charged go-kart. You never know what you’re going to bump into! Rozan writes in a style that is part 1950s detective magazine, part retro (think of Denis Johnson’s Nobody Move), part Miami Vice/Hill Street blues and more than a bit of Batman and Robin. In order to follow her story you will need to suspend reality or believe in – as does the main character – miracles. As the story opens our protagonist P. I. Bill Smith receives a mysterious message on his cell phone telling him that his partner and love interest Lydia Chin has been kidnapped. Smith doesn’t know who’s behind this but he correctly suspects that it’s someone he helped put in prison. He’s soon provided with a “clue” that leads him to an abandoned building in Manhattan in which he finds a dead girl. This, naturally, is a set-up. The NYPD officers arrive just after Smith does and suspect him of murder. Smith has to fight with and escape from the cops just as he’s about to begin his frantic search for Lydia. The person who has kidnapped Lydia has set a clock on this “game” of cat and mouse. Smith must find Lydia before time runs out, because her kidnapper has promised to kill her once the clock reaches double-zero. Smith needs to figure out who exactly has taken Lydia, and where she’s been taken while he hides from the police and – oh, yes – as new crimes take place and the police suspect him of being the perpetrator. Smith would have little chance of dealing with this all by himself, but two young assistants come to his rescue and he’s also got a friend inside the NYPD who performs a few of the miracles he needs. Rozan’s writing style is rapid and breathless. As the story begins, the reader will likely feel (as with Nobody Moves) that too much is happening too fast. But if you accept the fact that dramatic events are going to happen every few pages, the read becomes a highly entertaining and exhilarating one. If you’re like this reader, you will begin On the Line wondering if you will be able to finish it. On doing so, you will be calling a bookstore to order one of the nine previously released Bill Smith/Lydia Chin novels. 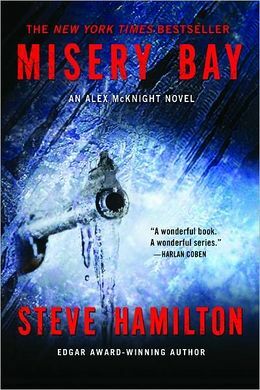 A review copy was received from the publisher. 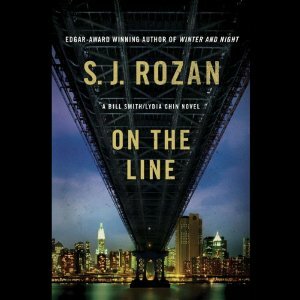 On the Line was released in a trade paperback version on August 30, 2011.